A new initiative which brings together institutional investors from the Investment industry in India. The goals of AMRI are to encourage and promote India’s Capital Markets, to ensure their growth and to expand their base within India and abroad. AMRI works together with the government, SEBI, the Reserve Bank of India and the stock exchanges to increase transparency and create a model framework which would generate confidence, and create a favorable long term investment climate for India. 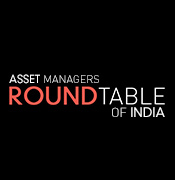 Click here – to join Asset Managers Roundtable of India Group.